Face it, birding is just plain fun! And telling your friends about your birding adventures is also fun. So to help you share your daily birding joys, here are some badges that you can steal and post on your blog, Facebook, or Twitter as an expression of just how birdy your day was! In order to stay sharp, maintain and improve your birding skills, and to slip some birding joy into your regular day, make sure you see at least 20 bird species every day. In some areas and times of the year, that can be a real challenge, but for most of us, with a little planning and diligence, we can carve out at least a few minutes for watching the feeders in our yard or making a couple quick stops on the way to work in order to see 20 birds every day. Use this badge to show that you got your 20 Bird MDR and then join other birders using the 20 Bird MDR on Facebook. Sometimes do to circumstances beyond your control, you may fall short of your 20 Bird MDR. In that case, you can pull a Make Up Birding Day the very next day to make up your shortfall. To do that, in addition to your daily 20, you need to see twice as many birds as you missed the day before. So if you only got 18 one day, you need to see 24 birds on your Make Up Birding Day (20 Bird MDR + 2 x your shortfall). Congratulations, you went beyond the minimum and put in some extra time and got some bonus birds! Nothing like stretching a little extra to feel like your day was a success even though you may not have had more than a couple of hours to devote to birds. Post this badge to celebrate your bonus birds. In most areas, it takes at least a good half a day of birding or more to top 50 bird species. Some places and times of year, this may be a decent total for a full day of solid birding. At any rate it takes more concerted effort to achieve than a 30 bird day. Good job! Grab this badge and enjoy basking in the glow of some great birding memories! Finding 100 bird species in a day is a significant achievement almost anywhere, and takes a serious effort. So congratulations on a full day of birding and post this badge in honor of a job well done! Even the most dedicated athletes take a day off of training to let their bodies rest and recover. Birders need to do the same, if nothing else than to avoid succumbing to the dreaded Bostick Syndrome. Take a day off now and again to let your mind and body rest. Like a Birding Bye Day, but for more religious or spiritual reasons. Personally, I like to take a Birding Shabbat most Sundays, as I spend the day with family and at church, and use it as a day to relax from my normal cares, including the press of the 20 Bird MDR! Lets face it, sometimes there is no great reason for not getting your 20 Bird MDR and no way to make it up the next day. In that case, best to just fess up and admit you didn't do what you needed to do in order to get your daily minimum! Give yourself a Birding Fail and get back with the program the next day! Go birding. Post your daily birding badge. Enjoy! 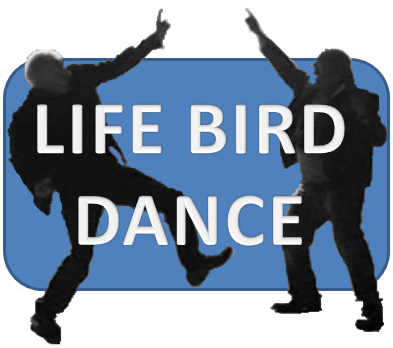 We birders have long known about the "life bird dance" required of any and all birders upon seeing a bird species for the first time. When Stu and Brad had returned from their death-defying helicopter trip to see the Himalayan Snowcock they did a great version! We all have a few birds on our life lists that we are sure we saw, but long for a better and longer look. 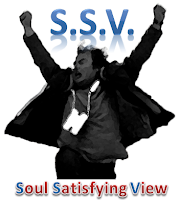 Now, I'm not sure if he came up with it himself or obtained it from someone else, but I really like what Nate Swick calls the Soul Satisfying View (SSV) as it relates to finally getting that great look at a bird for the first time. I love the concept, but let's try to take it a little further. Just to make it more interesting, only count the birds that you did NOT burn gas to see. My daily challenge is to bike 10 miles and see as many birds as I can in that distance. Of course if I bike further then I hope to see more. My average in Boise, ID is 30 birds. My best is 68 (but I had to bike and walk 43 miles to do that--lots of work). Great idea, Rob. I also like Tom's suggestion. Maybe you can design similar "no gas used" badges. It could have a little gas nozzle or the outline of an auto in a cross-out circle. Lol! What a FUN idea! I used to get 50 species a day easy when I lived in Tucson and could go to places like Sweetwater Wetlands! Now I might be able to do that at Plum Island here in MA, but I usually only get around 10 to 20 birds in my yard or neighborhood. However, I will keep these badges in mind. Perhaps I will post one on my blog one day! Hmmmm...I like the Gas Free Bird MDR, maybe we can make a badge for that as well. I love these badges! The last two crack me up. :) I'm a BIGBY birder and I love the idea of a badge for that type of birding.